Foxfarm * OPEN SESAME * Original AD Poster 13" x 19" Rare 2012 Mint New Condition. Large Size measures 13" inches wide by 19" inches high. 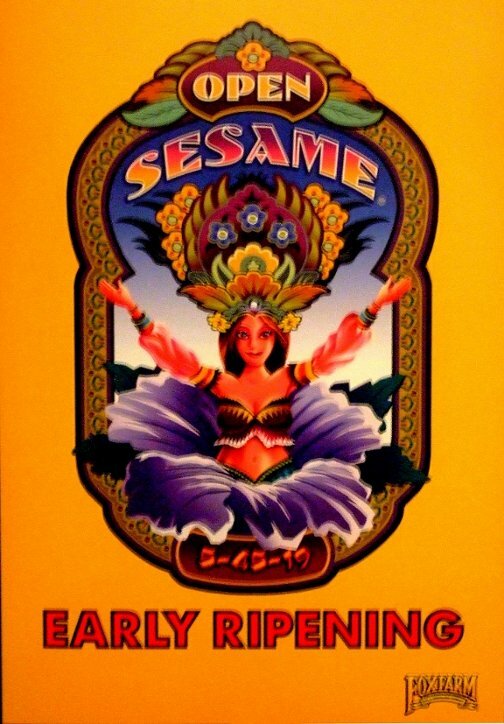 Original Official AD Poster for the release of Foxfarms * Open Sesame *. Open Sesame is a high-phosphorus soluble fertilizer that’s designed to bring plants into bloom at your command. Just say the magic words. Open Sesame provides the optimal level of nutrition with minimal salts and other residue buildups. Whether you’re growing in hydroponic systems, containers, or gardening in ordinary soil, Open Sesame will go right to work at the root zone and deliver targeted nutrients when the plants need them the most. This Original Poster is Large Size ( measures 13" inches wide by 19" inches high ) and is printed in Beautiful Brilliant , Razor-sharp 6 color production on thick heavy chrome-coat advertising poster stock paper. This is the Official FoxFarm * Open Sesame * Advertising Poster printed in Limited Edition. Rare , Authentic , FoxFarm * Open Sesame * Advertising Collectible ~ ready for framing , or simply hang as is. Great for an Apartment or Studio , Den or Office. This Original Poster in Mint New Condition. Will be gently rolled in a heavy duty tube and shipped Priority Mail with Delivery Confirmation / Tracking. Email with any questions before purchasing if you are unsure about something. We ONLY accept Money Orders , Cashiers Checks or U.S. Cash as payment ( we do NOT accept personal checks or online payment at all ). Please email about local pick-up , we are located in NYC in Times Square. All International Customers MUST email us before purchasing this item.